Murphy Bed Sofas | Murphy Beds | Lancaster Handcraft, LLC. Murphy Bed Sofas are a type of Murphy Bed that has a Sofa, or Couch, built onto the front of the Murphy Bed. As the Murphy Bed opens, the back of the sofa folds down and the seat hinges forward to rest under the bed. It is available for both Full and Queen size Vertical Murphy Beds. The Murphy Bed Sofa offers the best of both worlds. You can enjoy the comforts of a real bed, with a 12-inch deep mattress and a beautifully designed, comfortable sofa which provides extra space in your room when the Murphy bed is closed. Our Murphy Sofa Beds offer a more comfortable, stylish alternative to a conventional sofa bed. 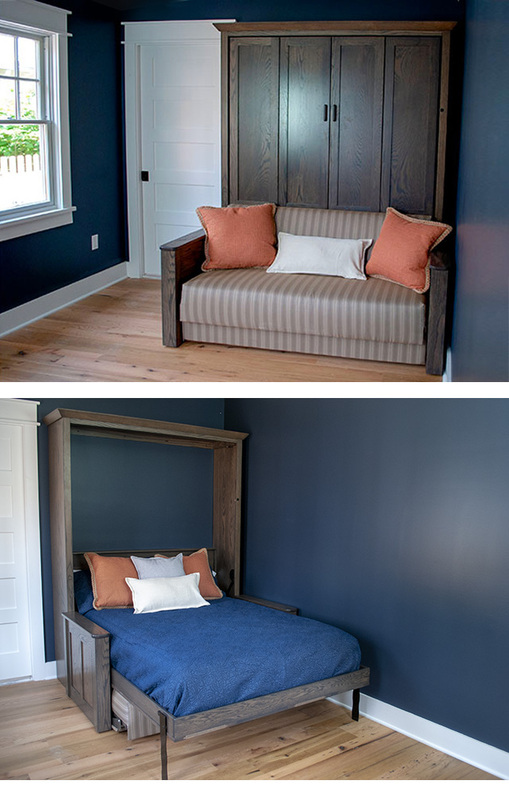 The Murphy Bed is made of solid wood and constructed by Amish craftsman. We work with a local upholster who has been in business for over 30 years! The sofas are constructed with high quality foam designed to last the test of time. We offer a large selection of the finest fabrics. This is a great solution for small apartments, condos, vacation homes, etc. 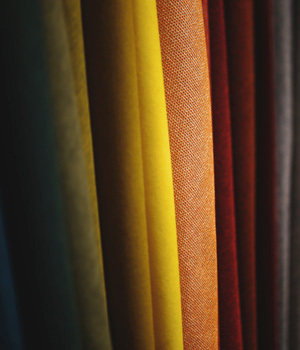 We offer a wide selection of Crypton® fabrics, which are proven to be highly stain resistant and easy to clean. We offer 5 styles of decorative panel fronts - Traditional Raised, Mission Inset, Shaker, Contemporary and Barn Door Panels. 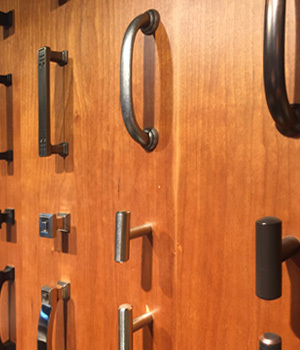 Choose from our large selection of hardware. There are many options to fit each style. 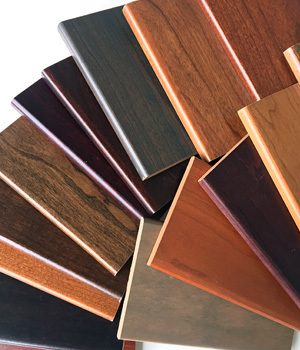 Our full line of stains and paints are available. 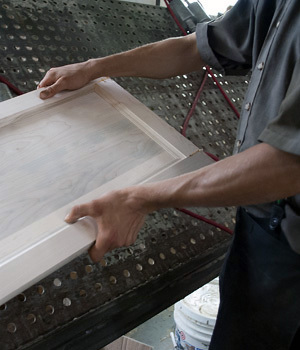 We finish all of our products with a high-quality, low VOC, polyurethane finish that resists water marks and scratches. We offer 2 options for the arms of your sofa. You can select solid wood arms with paneled sides that match the panel style of your Murphy Bed. 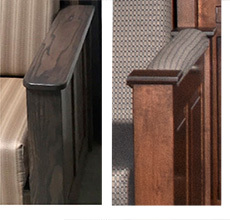 Or you can choose to have the arms partially upholstered in the fabric of your selection. Please make sure that the bed will fit into elevator/stairwell before ordering. The face panel of the bed is slightly larger than the mattress size of the bed. Murphy Beds do not have box springs. The mattress lies on a platform. Our Murphy Bed accommodates mattresses up to 12 inches deep. Full – Vertical 82" 64-1/4" 18" 82"
Queen – Vertical 87" 70-1/4" 18" 87"